How many more in your name? 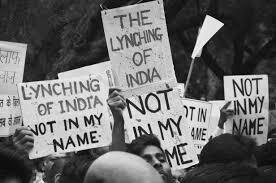 What is not in your name? How many more stars we make? until each one of us become stars? 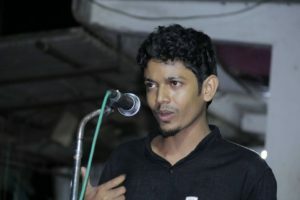 Ajmal Khan A.T is a bilingual writer and activist who writes in English and Malayalam. His English poetry collection My Tolerant Nation is forthcoming, published by Wings & roots (2017) and Malayalam one line story collection Museebat (2017) published by Monsoon books, Mumbai. His poems and articles have appeared in important magazines Online and print in India and abroad. His poems have also appeared in anthologies including GOSSAMER; An anthology of contemporary world poetry by Kindle Magazine.